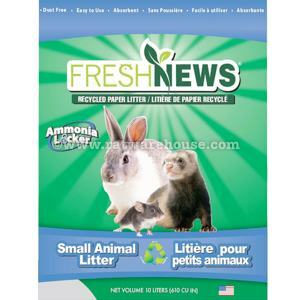 Fresh News paper litter is made from 100% recycled paper with moisture locking pellets which contain a touch of bicarbonate soda (0.1%) for added odour control. You can use it in your litter trays or in the cage corners, or simply sprinkle some on your other substrate. It is 99% dust-free and 100% non-allergenic. 10L bag.